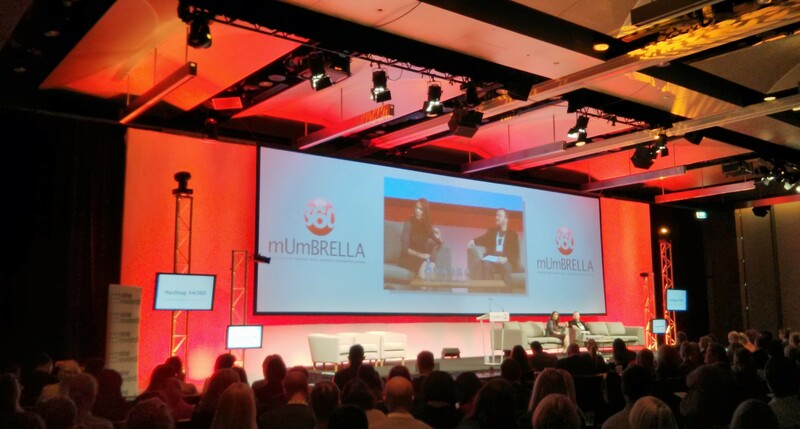 so big day two of Mumbrella360 kicked off with an awesome presentation from Twitter’s Head of Agency and Brand Advocacy Melissa Barnes. essentially a ‘best of’ how brands are using the Twitter platform, Barnes more than delivered on her job title, as I suspect there were a great many more advocates for Twitter in the room at the end of her session than there were at the start. I’ll save the content and examples up for a separate post, but its worth capturing here one of the key points that Barnes was making – that you have to approach and use Twitter differently, and with an understanding of what the platform offers and what its users expect. she noted that she see’s lots of brands approach Twitter with a ‘display’ mentality, which just doesn’t work. the best examples on offer were cases where a brand had something to say, something entertaining and / or interesting to share, or, interesting, a crisis to manage. one fascinating chart in particular showed how a calm, human, humourous individual in chart of a mobile phone company’s Twitter account in the aftermath of a network outage was able to mitigate the anticipated ‘hate’ emotion you would typically see in sentiment analysis of an outage event. in a frank and fascinating discussion with the Burrowes, the boss of the struggling network discussed a strategy designed to focus on an older demo and live TV (as the latter is more easily and readily monetised) … saying that what the channel most wants to be known for is ‘the home of great event TV’. he was frank that Ten was hurt by the advent of digital channels, and should have launched ist digital channel (11) earlier than in did, and arguably before launching One. the strategy is designed to get a fair(er) share of FTA’s $2.8bn by getting a fair(er) share of an aging demographic. this would seem to represent nothing short of a full-scale retreat from a younger audience who, in McLennan’s own words “aren’t engaging with TV as much”. the network is looking to beat Seven and Nine by joining them in a fight for an older and more easily monetised audience. the strategy is to back off from digital channels, let alone digital platforms – which are (I suppose not wrongly) seen as the place for programme marketing more than anything else. 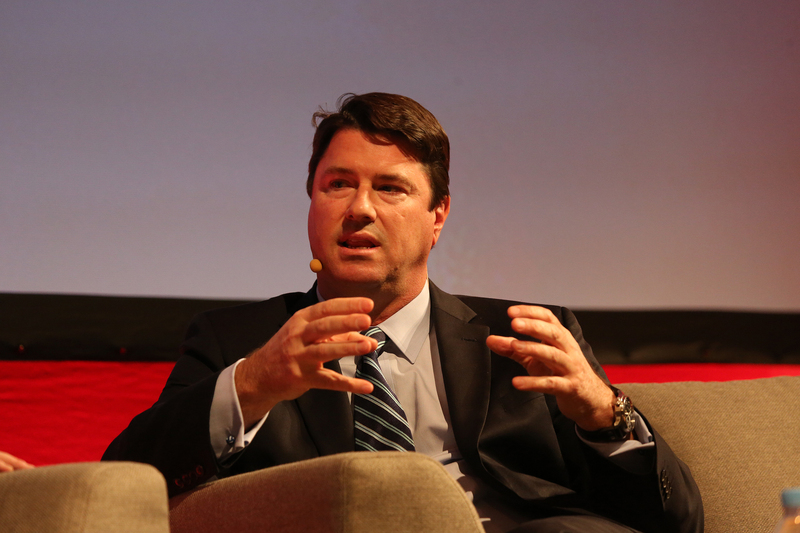 PHD Chief Exec Mark Coad asked about the network’s digital strategy, given the NBN (national broadband network) roll-out, but not much was forthcoming. it took a second delegate to ask a similar question to elicit the response that McLennan saw post-NBN as a “big opportunity”, the citing of the example of creating subscription channels evidence that there’s more than a little NewsCorp left in this boy yet. I jumped into a session on The Encore Score and after lunch joined the debate on the State of the Media. Moderated by Darren Woolley, MD at TrinityP3 and Denise Shrivell, MD of MediaScope (on the right above), the panel consisted of (left to right) Lynda Pallone, marketing services and integration manager, Blackmores; Rob Dingwall, media & marketing operations manager, Kellogg’s Australia; Chris Mort, CEO, TMS Australia; Toby Hack, MD Australia, PHD Media (woop); Tony Kendall, director of sales, Bauer; and Zac Zavos, co-founder and managing director, Conversant Media. this was the first of two plus ça change sessions, with the debate eventually getting to some of the elephants hovering in the back of the room. a debate on programmatic buying led to some predictable places, most notably concern from ZZ that automation leads to commoditisation of media (which it does, because much of the time media is a commodity). TH described the two emerging centres of gravity in agencies around creativity / innovation and automation / analytics – which RD slightly misinterpreted as an agency split, which admittedly at this stage would seem a rather drastic solution. this session also saw the revelation that industry-wide plans for a move to electronic trading have been shelved. 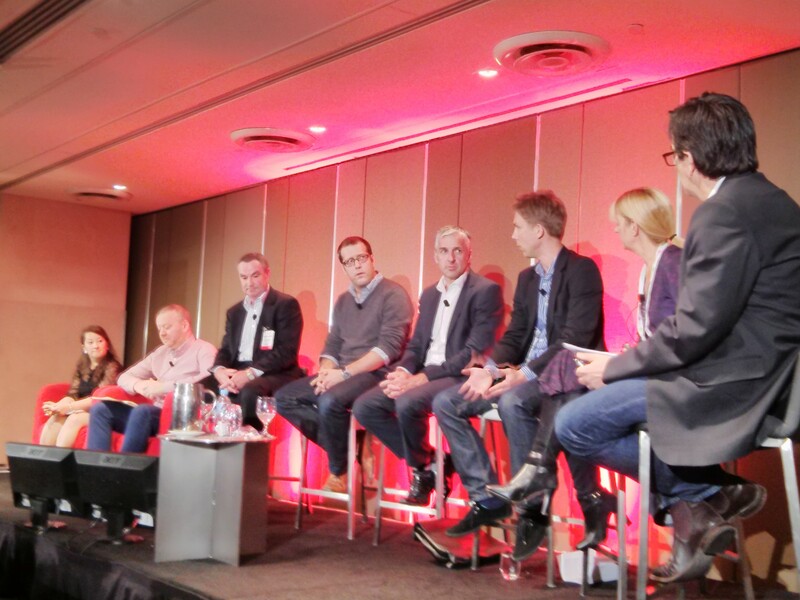 this was first debated at last year’s 360 conference, with a panel consisting of senior agency and media owner representatives debating the subject of automation. whilst the panel wasn’t the most warmly received (media man unmasked commented that “When you put 9 of the most senior executives in our industry in front of a room full of people who look to them for inspiration and leadership and all you get is a school yard argument it doesn’t bode well”), the point was that something was being done. this now doesn’t seem to be the case. one suspects that the shelving was brought to you by the letters M F and A and the numbers 7, 9 and 10 … but I won’t pre-judge. I’ll do some digging and write up anything I land on. anyhow, back to the state of the media session … where there were a many more questions than answers. so much so that I was moved to ask a question of my own – specifically after this debate is over what happens next? who’s responsibility is it to drive the necessary change? and this is essentially the muddle we are now in … media is commoditising but clients won’t (generally) pay for the skill of planning and innovating with media. it’s seen as added value. but there’s less and less value because client procurement teams are driving down margins, so agencies seek additional revenue streams which leads to accusations of lack of transparency. and on we go. … I really rather hope not. all brilliant examples of how, in Wilson’s words, “a happy marriage between creativity and technology are becoming the norm” … lovely stuff.